Sunshine City by day. Brisvegas by night. Only Brisbane can confidently take the crown of being a city so vibrant that dull moments simply cannot exist. With a plethora of shopping choices, fine dining options, national parks and cultural hubs – there is always something for everyone. It is a land brimming with both opportunities and recreational activities. What’s not to like about living in a place like that? With sunlight constantly bathing the city, it is not surprising that Brisbane is one of the warmer states in Australia. Although we can distinctly experience all four seasons, it’s best to leave your winter jackets behind for they will only collect dust here. Indeed, like its people, Brisbane weather is always warm and cheery. On the rare occasion that it does drizzle, the sun is always guaranteed to burst through the rain clouds within minutes. And the best part about our weather? Most people can start their day with light streaming through their windows. In fact on most days, the sun rises well before six-thirty! And if you had the time to peek through your window and down into the city, you shall see the streets humming to life as eager joggers kick-start their day with a refreshing morning run. But what if you’re a night owl? 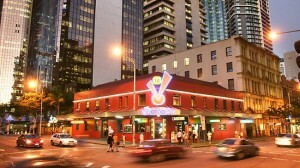 Fear not, for night life in Brisbane is just as energetic. The most popular after-hour district would be Fortitude Valley – a place whose life and soul is embodied by buzzing bars and convivial clubs, each blasting playlists from different music genres. Whether you’re looking for a casual night out or hoping to dance until your feet ache, there’s bound to be a locale somewhere that will satisfy your desires. On the other hand, if you wish to conduct yourself in a more civilized manner and partake in more refined amusements; head on over to Southbank. It’s a cultural hub that runs alongside the Brisbane River that is only a 10 minute walk across the bridge from the heart of our city. The walk itself is very pleasant, and you cannot help but admire the sleek buildings that complement the steady sprouts of greenery that dabble along the shoreline. The GOMA, theatre performances, music festivals and a selection of international cuisine can all be found here. The cultural spirit here is so strong it dims even the vivacity of Federation Square. And should you wish to spend your free time exploring other parts of Brisbane, our efficient transport system makes it quite a simple task to do. The convenience and reliability of travelling by bus and train means that owning a car is no longer a necessity. But what if you didn’t know how to reach your destination? Well, you can simply use the translink website which will suggest several methods to lead you from A to B. Furthermore you can pay for your rides using a “go-card” – a plastic card that electronically stores credit which even offers discounts after you take a certain number of trips a week. That’s right, travelling around Brisbane by public transport is convenient, efficient and most importantly, pocket-friendly. Yet the most compelling reason that draws people to Brisbane would be the sense of unity amongst its people. Not only are Brisbanites friendly and welcoming, there is an abundance of annual carnivals that magically draws everyone together. These events include the EKKA show, the Brisbane Festival and Valley Fiesta – events that every Brisbanite uses as an excuse to unwind, to celebrate and to show off their state pride. The life, the music and the atmosphere here is so vibrant and so addictive that you become spellbound and stay longer than you originally planned. And when you do try to leave, your favourite local artist may just come on stage and you will find yourself transfixed once more under the enchantment of these city-gathering festivals. 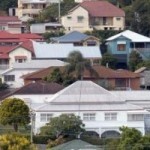 So if you plan to move to Brisbane, where would you start? Getting your job organised, deciding what to leave behind, cramming all your worldly possessions into two mere suitcases are just the few things on the top of your list. The last thing you need is the stress of having to scour through gumtree for a decent place to stay. 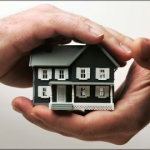 So find a professional to help you out, and give them the responsibility of finding an accommodation that best suits your needs. 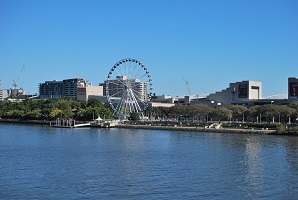 They know the ins and outs of Brisbane and information that you can one day come to acquire when you become a true Brisbanite. Brisbane is certainly a charming city to live in. So what are you waiting for? Come on over now, everyone here is already waiting for you with outstretched arms.